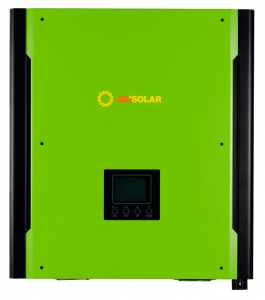 ABi-Solar® Solar Invertors | Atmosfera™. Альтернативные источники энергии. Солнце. Ветер. Вода. Земля. 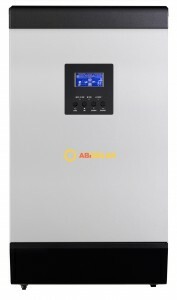 ATMOSFERA Company offers a wide range of on-grid, hybrid and stand-alone inverters ABi-Solar made in Taiwan. High quality of assembly, implementation of the latest schematic solutions and quality components allow these inverters successfully compete with a number of European alternative products. These inverters will help to complete any task of full, back-up or stand-alone energy supply to the object with the use of alternative energy sources. Multiple functions ensure easy setting of the facility to efficient operation, while remote access allows the user analyzing performance figures for the period of 15 free of charge and any time. The line is represented by on-grid inverters, inverters for electric power storage systems (backup/off-grid), and unique solar hybrid inverters capable of multi-mode operation with several energy sources/users at a time. The range of on-grid inverters with the option of running on rechargeable batteries. Such inverters may be used in network stations, when uninterrupted power supply is needed. Inverters HT have inbuilt MPPT solar charge controller allowing to charge rechargeable batteries directly. These inverters can be connected to computers or automation systems through communication ports USB, RS-232, Modbus. Energy conversion efficiency is 93%. 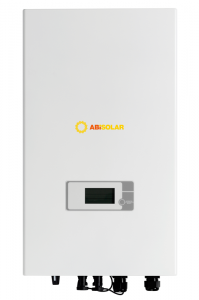 ABi-Solar® GT Series inverters are designed for network stations only. Two independent MPP trackers and wide range of input voltage allow obtaining maximum output from PV panels irrespective of weather. Conversion efficiency of inverters is 96%. Enclosure class of inverters IP65 allows their outdoor installation. Inverters GT are light, compact and can be easily mounted on a wall, Besides, these inverters come with free software for station activity monitoring. ABi-Solar® SL Series inverters are completed with PWM or MPPT charge controllers. A line of inverters MPPT Plus consists of inverters with МРРТ controllers and increased output of PV modules connected. These devices combine functions of an inverter, PV modules charge controllers and mains charger. They can be used as uninterruptable power supply units. An inbuilt LC display provides the opportunity of viewing and configuring basic parameters of the station. Energy conversion efficiency is 93%.